Originally intended for Seattle Screen Scene. The Lost City of Z has landed in the cinephile community with the kind of impact typically reserved for the most lauded or debated of auteurs. In some sense, this is expected: its director, James Gray, has steadily accrued a small but intensely dedicated following for his character-driven crime dramas and plain dramas like We Own the Night (2007), Two Lovers (2008), and his breakout The Lost City of Z (2013). Each of these films, as described in interviews with the writer-director, is almost self-consciously a throwback to a more classical Hollywood model of filmmaking–complete with a strict adherence to shooting on 35mm–but they are all distinctly American. All of his past films have taken place in immigrant communities in the US, and are inherently tied to some sense of overwhelming longing. Gray’s latest film continues this sense of “classicism” (a dangerous but somewhat fitting term to use in relation to Gray), though the setting is changed to two locations: London and the uncharted jungles of the Amazon. The film follows the story of adventurer and soldier Percy Fawcett (Charlie Hunman), structuring the film around his three expeditions to the Amazon over a period of two decades in the early twentieth century, as he attempted to discover a legendary lost civilization deep within the jungle. Crucially, however, The Lost City of Z is not a film that concerns itself solely with the act of depicting the explorations or distilling it to a descent into madness a la Herzog or Apocalypse Now. Gray’s path, like Fawcett’s, is far more knotted. 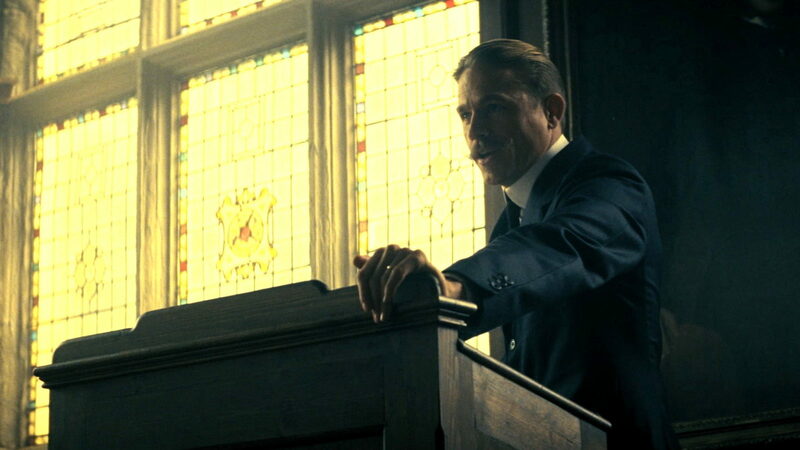 What James Gray attempts to achieve in The Lost City of Z is a wholly formed portrait of yearning, obsession, loss, and various other emotions; in short, he seeks to encapsulate the mindset of the adventurer out of time – the film takes place in the time period surrounding World War I, and Fawcett’s quest is pointedly likened (unfavorably) to the doomed quests of the Spanish conquistadors. But Gray changes the historical figure of Fawcett – who in real life was a eugenicist – into a fairly noble figure who genuinely believes in the intellectual and societal equality of the native Amazonians. While this blatant change might be a step too far for some, it does serve to focus the movie in a way, driving it towards a more streamlined notion of obsession. And this singular drive is paramount in Gray’s filmmaking; it finds itself both in the rush of the adventure and in the quiet dynamics at home, where Fawcett has to reckon with his wife (Sienna Miller) and children, two of whom are born while he is away in the jungle. Despite the lengthy two-and-a-half hour runtime, The Lost City of Z rarely flags, in part because of the structure that shifts back and forth between the two locations – including a revelatory, extended digression to the Western Front, in part because of the consummately dedicated performances of all involved, particularly a nigh-unrecognizable Robert Pattinson as Fawcett’s right-hand man, but most of all because of Gray and his breathtakingly gorgeous vision as executed by Darius Khondji. Ultimately, The Lost City of Z is one of those particularly difficult films to pin down, not because the contents of the screen are indecipherable – this is, above all, a straightforward if dreamlike affair – but because they are so tied to a sense of place and time, removed from both our present and Fawcett’s. Indeed, that is a large part of why the jungle is a source of such intense fascination: it is a location and culture out of time, one that the explorer yearns for at all times (even on the battlefield). And in the final 20 minutes, a rush of hypnotic images, he and the viewer comes so incredibly close to the beauty beyond all understanding.